Clay – CREATE. PLAY. TRANSFORM. A lot of brand new pots will be born out of the clay that I have been processing lately at the pottery studio. My hands have been busy forming pots on the wheel and with slab making over the holidays. 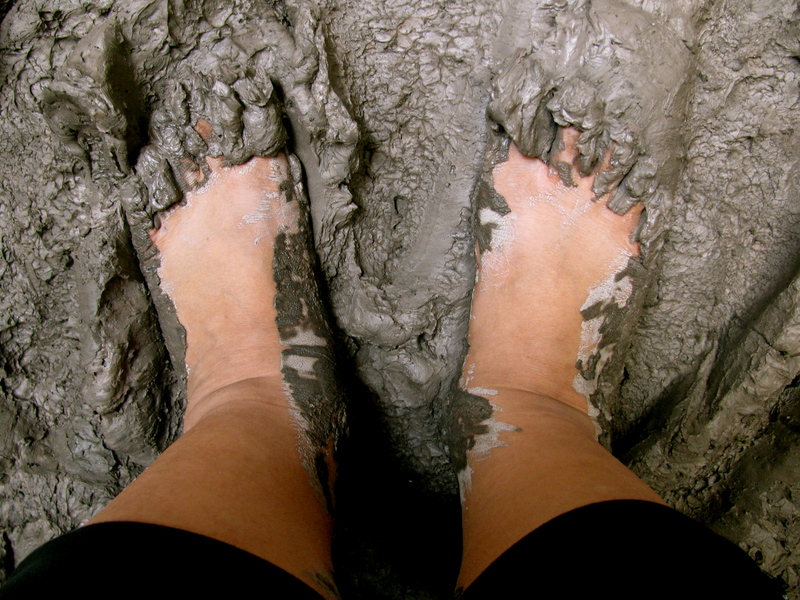 But I started this week by getting my feet into some mud action. Looking at ceramics doesn’t usually show how it has been made. It is a very laborious task that needs a lot of physical strength. 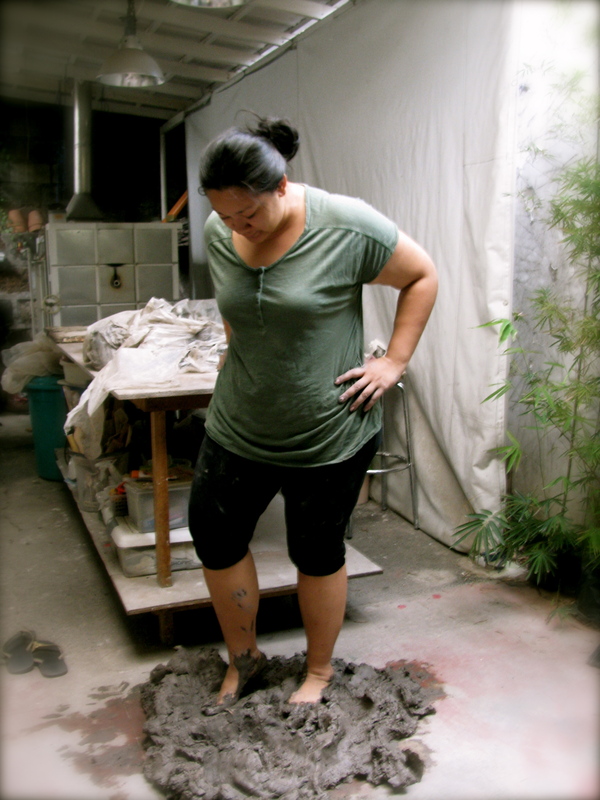 Pottery making can be tiring, but it’s always a joy to sink my feet in wet and squishy clay. These hands can’t wait to make pieces out of my freshly kneaded clay. After all the footwork that I did today, tomorrow will be a very busy day kicking the wheel and rolling out slabs of clay. It’s time to rest my tired back. The clay can’t stay on the ground. So I had to carry kilos of them on the table.